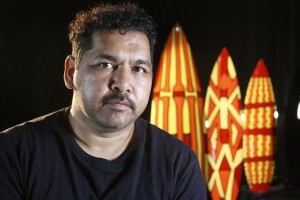 His work was exhibited in the 2008 Sydney Biennale, Revolutions: Forms that Turn, and in other major shows around Australia and internationally. He represented Australia in Once Removed at the 53rd Venice Biennale 2009. Recent exhibitions include Ideas of Barack, 2011, National Gallery of Victoria, Melbourne, Tall Man at Gertrude Contemporary, Melbourne in 2011, the Indigenous Triennale National Gallery of Australia and Everything Falls Apart at Artspace in 2012. In 2013 he exhibited in Sakahan at the National Gallery of Canada and later this year he will exhibit a new body of work at the Istanbul Biennale, curated by Carolyn Christov-Bakargiev. Exhibited at Parliament House, Canberra in 2014, this work is a continuation of Vernon Ah Kee’s Hallmarks of the Hungry series, which show restricted and bound figures, constructed from abstract, bandage-like bars of graphite. The title is taken from the saying that Vernon grew up hearing from his mother “persistence is a hallmark of the hungry”. 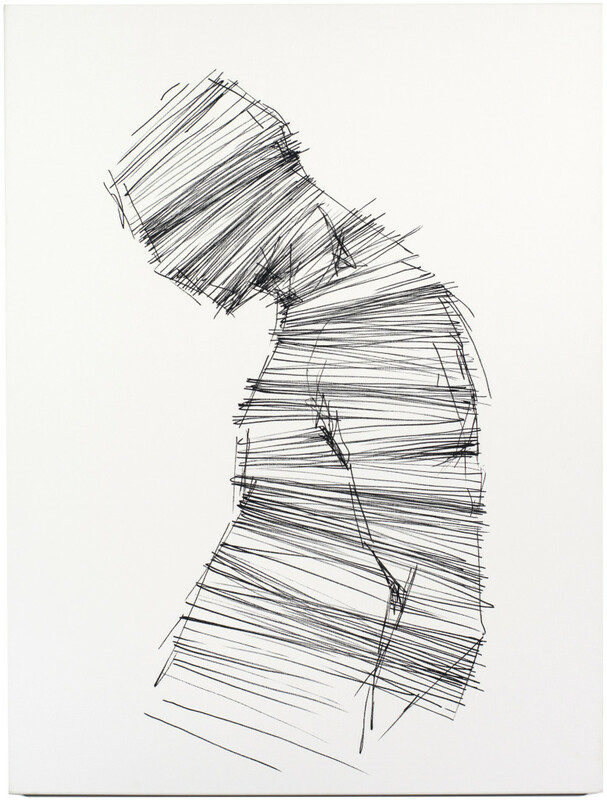 The series also connects with Vernon’s other series Unwritten, where similar figures exist on the edge of becoming, made from cutting, graphite strokes. These works relate to a traditional rite of passage for Indigenous males, where cuts across the chest are made during a ceremony to recognise maturity.